Ok, maybe not. But this week on Liberal Dan Radio I discuss several issues including the NFL situation, what should a poor person be able to own and not be judged for it, and more. And as always headlines, tweet of the week, and more this week on Liberal Dan Radio: Talk From The Left, That’s Right. I will discuss the endorsement of unrepentant convicted felon Edwin Edwards for the 6th congressional district of Louisiana by the Louisiana Democratic Party. Previously I had stated my reasons for opposing his candidacy and what might happen if the state party went ahead and supported him anyway. I will also have on the show previous guest Joanna Schroeder from the Good Men Project. We will discuss a variety of issues from the controversial nail polish and Cee Lo greens comments to the Ray Rice firing by the NFL. Those issue, headlines, tweet of the week and more tonight at a special time, 9pm Central, on BlogTalkRadio. And so should the school that punished Erin Cox. 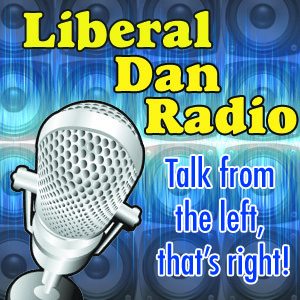 On tonight’s episode of Liberal Dan Radio I discussed the problems I have with zero tolerance polices. I used as an example the story of Erin Cox, a high school honor student who did the right thing by driving to a party to drive an intoxicated friend of hers home. Driving a friend home who is drunk is one of the best ways you can help that friend avoid becoming another drunk driving statistic. Her friend could have died that night by driving herself or by getting into the vehicle of another intoxicated person. But she called her friend Erin and Erin (I will repeat again) did the right thing. You would think that Mothers Against Drunk Driving would hold Erin Cox up as a hero. But they did not. Instead “Mothers Against Drunk Driving of Massachusetts said while Erin had good intentions, her friend should have called an adult.”. WHAT?!?!?!?! That is insane. It also turned out that the school attorney lied to the court and told the court that Erin was arrested when she clearly had not been. Underage drinking is so very dangerous, that’s why MADD appreciates this school’s effort,” said Withers, who praised Cox’s intentions but said she should have called an adult. “I’m not there and I don’t know all of the details, but indeed, their efforts to prevent underage drinking through zero tolerance are admirable. Again, MADD should be holding Erin Cox up as a hero. They should not supporting these schools draconian zero tolerance polices. Because what these policies say is that if you have a friend who is drunk at a party, don’t go get them because you could get in trouble. It is absolutely shameful.